Complete with marshmallows, of course. Matcha is full of health benefits (and hype) but to many people, the green tea powder tastes too earthy and grassy. Yes, matcha lattes may look pretty, but it's no fun if you're not enjoying the flavour. Good news -- there's an easy way to make matcha more palatable. Add white chocolate, make it into a hot chocolate and top it with marshmallows. It's the clear option. To make this silky, sweet and indulgent matcha white hot chocolate, you only need four ingredients and five minutes. Check out the video above to see how. Here's the full recipe. 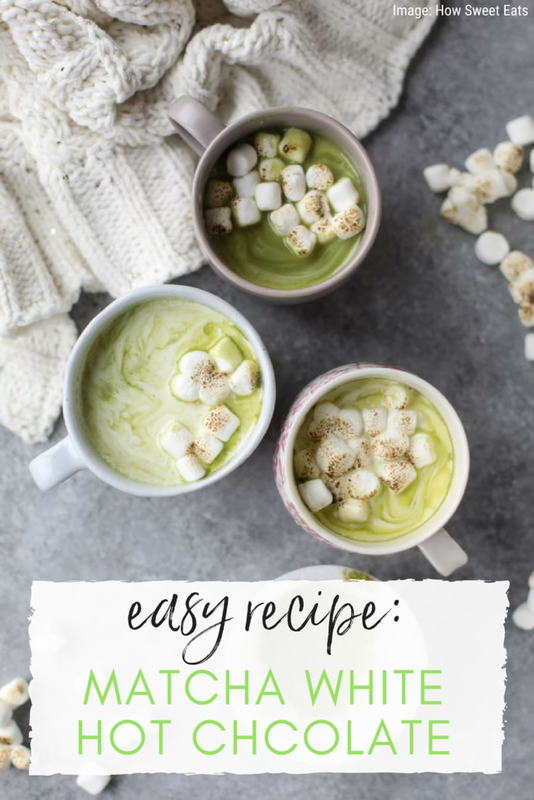 Or, for a fancier recipe, try How Sweet Eats' recipe for matcha honey hot chocolate with vanilla.